The Games on Demand version supports English, French, Italian, German, Spanish, Polish. Download the manual for this game by locating the game on http://marketplace.xbox.com and selecting “See Game Manual". 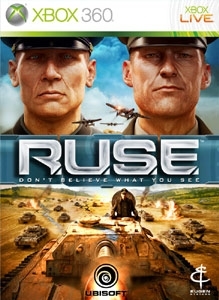 In R.U.S.E.™, players use their brain as the ultimate weapon, fighting a war of perception, where the ability to deceive and mislead the enemy determines success. A first in a strategy game, R.U.S.E. reinvigorates the genre by using deception to give new-found depth to the game play.